Integral transformer substations are built for indoor and outdoor installations. This article looks at indoor substations. It is designed for unheated premises of industrial enterprises. The substations with one transformer (right and left) and two transformers (in single line and parallel) are very common. In the two transformer substations the sections are connected by double busbar systems. Depending on the requirements of the distance between the opposite fronts (according to order) it may be 1800, 2300 or 2800 mm. Integral transformer substations use dry transformers and oil-filled transformers. The choice of a particular type of transformer depends on the power of the substation. Low voltage switchgear consists of a steel frame (a cabinet) containing a bus, a power cell with a circuit breaker, disconnect switches, earthing devices and current transformers. For prompt service the cabinets can be accessed from the front. The bus assembly and cable connections are serviced from the rear side of the cabinet. The door is provided for convenience of installation and maintenance, and is generally closed. Indoor high voltage switchgear also contains circuit breakers and relay protection. Indoor low voltage switchgear has the busbar systems without additional joint assemblies. AC power is measured by active and reactive meters. They are usually placed on the meter cabinet door. The customer can request a heated meter cabinet. 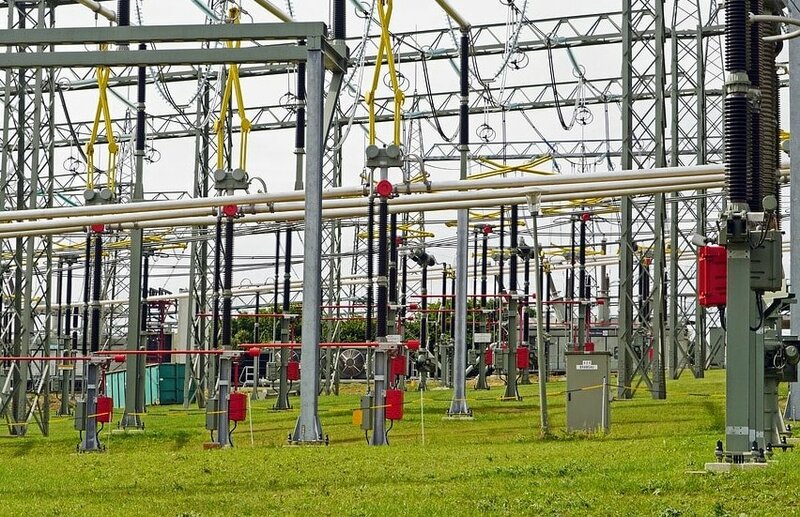 Substations with two transformers are equipped with an automatic transfer switch (ATS), which is necessary to turn off the disconnect switch and bus-section breaker. The ATS changes between equipment for an emergency source of power. Also the ATS is used when normal power source fails, and when automatic operation is at fault.